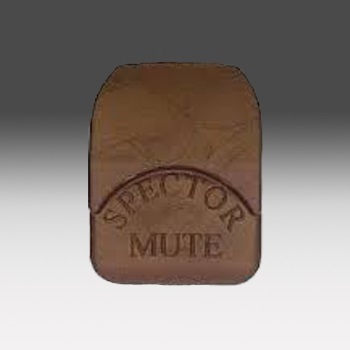 Designed by Fred Spector, former violinist for the Chicago Symphony, the Spector mute offers violinists a mute at the ready! The Spector violin mute remains full-time on the violin nestled between the A and D string. When a piece of music requires a muted part, simply slide the Spector mute forward until its lip comfortably rests on top of the bridge. Once finished, simply slide the Spector mute back toward the tailpiece. Available in traditional black and original copper.